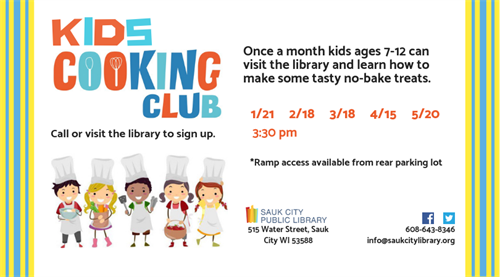 Once a month kids ages 7-12 can visit the library and learn how to make some tasty no-bake treats. Call or visit the library to sign up. Call ahead for this month's recipe, 608-643-8346.